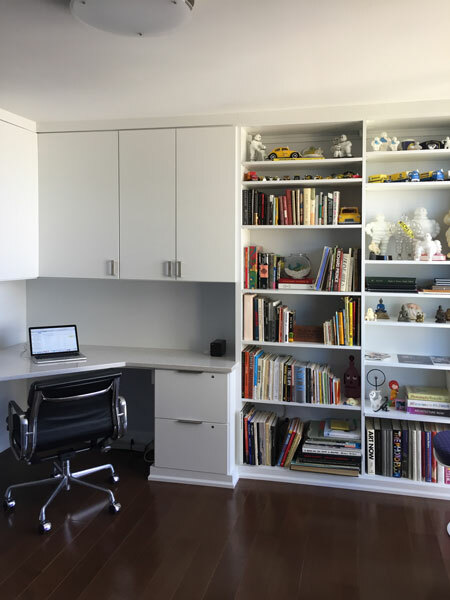 The client’s wish list was to create a light and airy office to fit perfectly in an urban condo guest room. 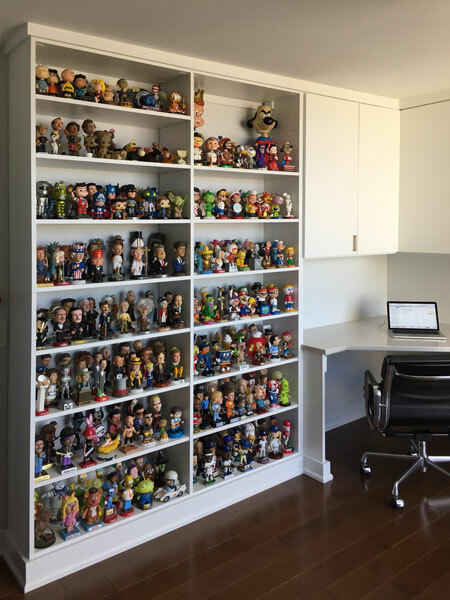 The client wanted something that would be used to proudly display a collection of bobble heads and special books. Another request was to accommodate an area for the client to sit and work comfortably. 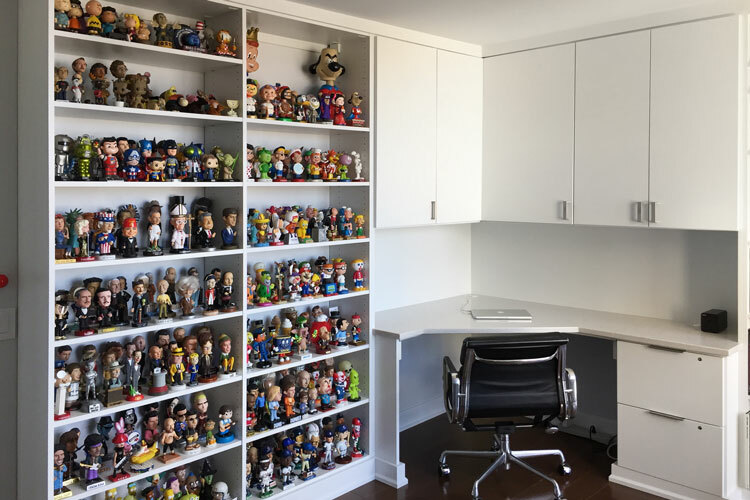 A floor to ceiling design was preferred to take advantage of every inch of space and provide a lively, engaging feel around the entire office. 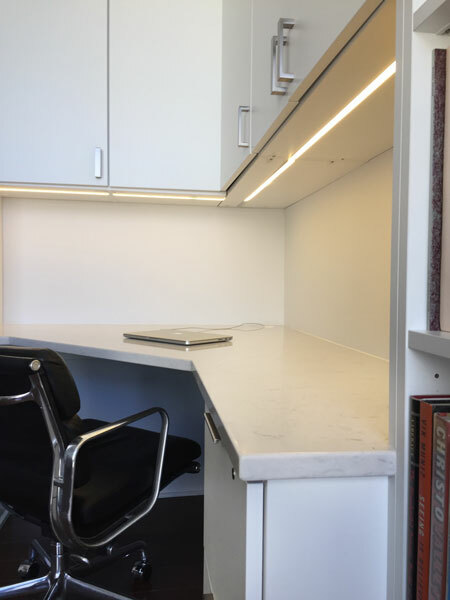 We created a corner desk with custom lighting, spacious cabinets, and file drawers. 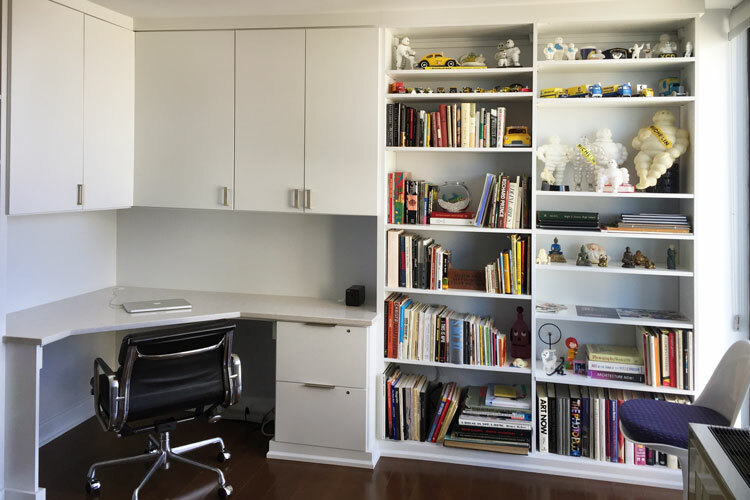 The white shelving units allow the colorful mementos and books to stand out as though art on display. All of these beautiful, functional assets were created while allowing space to accommodate a pull out couch where kids and guests can come visit. This was a floor-based system with open shelving. The doors and drawers were a modern, Contempo style. The desk has integrated LED lighting over the work surface. The floor was really not level and neither was the ceiling, thus proposing a bit of a challenge. Crown and base molding were used to disguise the unevenness of the floor and ceiling.